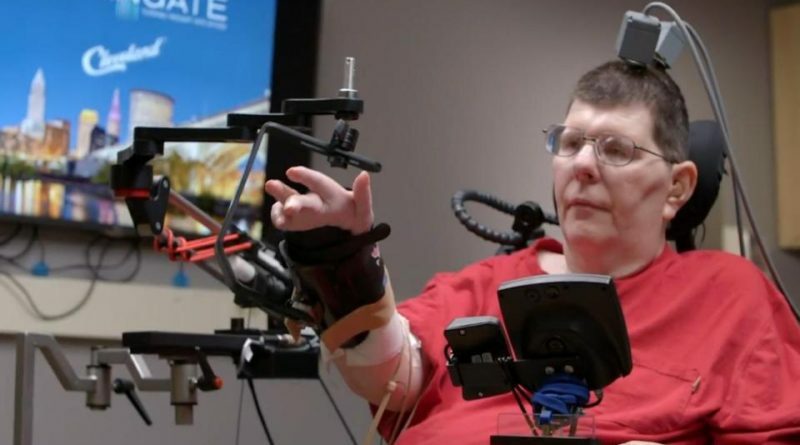 Researchers at Cleveland FES (Functional Electrical Stimulation) Center, Case Western Reserve University, Cleveland Veterans Affairs Medical Center announced that they have developed a system that enabled a paralyzed man to move his arm using his brain. In the paper published in The Lancet, the researchers reported that Bill Kochevar, a 53-year-old paralyzed man who had not moved his hand independently since he was injured in a bicycle accident eight years ago, was able to drink from a mug of coffee and feed himself using his brain. The paralyzed man was able to move his hand using only his brain after researchers implanted electrodes in the man’s various muscle groups and connect them to a computer system. This computer system then stimulates particular muscles in particular sequences. “To our knowledge, this is the first report of a combined implanted FES+iBCI neuroprosthesis for restoring both reaching and grasping movements to people with chronic tetraplegia due to spinal cord injury, and represents a major advance, with a clear translational path, for clinically viable neuroprostheses for restoration of reaching and grasping after paralysis,” the researchers wrote. “To me, it feels exactly the same as it did before, except there is a little delay,” Kochevar told TIME.